For today’s news conference I’d like to introduce Robert F. Kennedy, Jr. Chairman of the Children’s Health Defense and avid environmentalist attorney with a Harvard degree and a masters in environmental law, who has successfully advocated for many environmental causes including helping Riverkeeper lead the fight to restore the Hudson River. Nico LaHood, Bexar County Texas criminal district attorney who reports seeing his son regress into autism, after a vaccination. Robert De Niro, Academy Award winner and father of a child with a neurodevelopmental disorder who regressed after a round of vaccination. Tony Muhammad, student western regional minister, of the Honorable Minister Louis Farrakhan, and The Nation of Islam. And Del Bigtree, Emmy award winning producer, and producer of the documentary Vaxxed: From Coverup to Catastrophe. [Robert F. Kennedy, Jr.] Thank you Sharyl. [ Nico La Hood] Well, I think it’s safe to say that you cannot manufacture Bobby’s passion. And like Bobby said we all got to the stage, everybody on this stage got here a different avenue, because we all had different journeys, we have different experiences and we have different opinions a little bit, but let me tell you what we stand for. [De Niro] I’m glad I’m here. [Muhammad] In the name of God, I bear witness there is no God but God. And it’s an honor for me to certainly be here, with this distinguished panel of powerful men, who advocate for truth. I would like to say on behalf of the Honorable Minister Louis Farrakhan and the grateful Nation of Islam, and on behalf of poor people, those poor people being black, brown, red and white. I have been blessed as of May of last year, after finding out about this study, of a scientist who works for the CDC as we speak. His name is Dr. William Thompson. Who admitted that he lied about a study he did. And it was brought to our attention by Mr. Kennedy, of whom I’m deeply, deeply grateful for him, and not just him, his family and their legacy. Because we’re taught that history is most attractive, and best rewarding in any research. And this has happened to us before. That the Tuskegee Experiment could be back and live and well and it took a Kennedy to shut down that experiment. [Del Bigtree] We may have to seek them out, and destroy them where they live. That was what came out in a court case against Merck when their product Vioxx was proved to cause heart attacks in over 50,000 people. That lawsuit, that case went behind the scenes into the emails and showed Merck knew that that drug caused heart attacks, and covered it up from the FDA, the American people and the world. And in an internal email they sent out, doctors that questioned the safety of Vioxx, we may have to seek them out, and destroy them where they live. Think about that. [Kennedy] I want to, before Sharyl comes up, I just want to clarify something. I told you there’s no safety studies. But there are studies that CDC has created, CDC and industry, there are 19 studies that purport to say that thimerosal does not cause autism. That’s it, and they’re population studies, they’re not clinical, they’re not animal studies, they’re simply population studies, and they’re all very badly flawed. These are those studies. These are the studies that say that CDC studies, including three of these studies written by Dr. Thompson, the three lead studies, who now says that he was ordered by his boss at CDC to destroy evidence, to manipulate the data, to bury the evidence that showed that it was in fact causing illness to black boys, specifically black boys who received the vaccine on time, had a 250% greater chance of getting autism, than black boys who waited. So, and that, and he was told to come in, he and four other scientists were ordered by Frank DeStefano, the vaccine branch chief, to come into a conference room at CDC and dump that data into a garbage can and then they published that study, the DeStefano study, and found no effect. And that study has been cited 110 times on PubMed as the definitive evidence that vaccines don’t cause autism. These are all of those studies; this is the entire universe of their autism study. There’s no safety study that says, you know, it doesn’t poison you, it doesn’t kill you, it doesn’t cause all these other illnesses. These are exclusively autism studies, and it’s all they’ve got. [Journalist] Yeah hi, I’m Sara Reardon from Nature magazine. [Kennedy] No, I. I got called by the transition team on December 4th, and they asked me, the Trump had they said that the administration wanted to reach out to me, the president wanted to reach out to me, to see if I was willing to chair and populate a commission. And they didn’t, they wanted to make sure that before they made me an official offer that I was willing to accept it. I ended up talking with members of the transition team many times over the next month, and trading documents about what the commission would look like. I was told the president elect would call me over Christmas, he ended up calling me on January 4th. [Journalist] I’m Josh Major from Annapolis. Thank you for having this forum. [Robert De Niro] I don’t know what it is. And it, that’s something I never heard. I haven’t heard, I’ll look, I’m curious about that, too. I heard it was filmmakers, some filmmakers, feeling that the film wasn’t worthy in a way. But it must have had more, I, you know. [Attkisson] One more quick question. [Journalist] Hi, Rob Dew from infowars.com I have a two part question, I guess for each of you. Three hundred fifty organizations led by the American Academy of Pediatrics came out and wrote a letter to Mr. Trump saying they have unequivocal support for the current vaccine industry the way it’s run now. They have total support. What kind of pushback, you know, they haven’t even created a commission yet, what kind of pushback do you expect in trying to lead something like this? 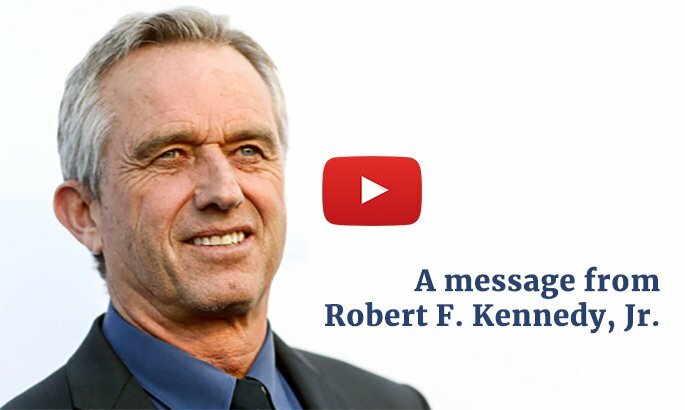 And Mr. De Niro is this something you could get behind, a vaccine safety commission, led by President Trump? [Kennedy] First of all, I would say this again but, the 350 I think, the AAP was the group that led that effort and got 350 health agencies to sign on. Many, the studies that they cited in there were these studies. And if, and you know I doubt if anybody actually read the studies, or very few of those people. But, the idea, why would anybody not want a vaccine safety commission? [De Niro] I am only concerned about this. Trump I don’t care about. If he does the right thing, he does the right thing. I don’t have to be connected with him. It’s about this, period. [Attkisson] Thank you all, thanks to the audience. Unfortunately we have to be out of the room at, a minute, two minutes ago, so thanks for attending. Thanks for The National Press Club and to the organizers. 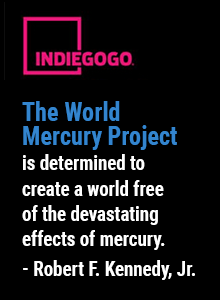 Join the movement by supporting our campaign on Indiegogo!